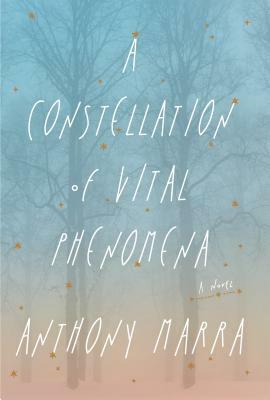 Stegner Fellow, Iowa MFA, and winner of the" Atlantic"'s emerging writer contest, Anthony Marra has written a brilliant debut novel that brings to life an abandoned hospital where a tough-minded doctor decides to harbour a hunted young girl, with powerful consequences. In the final days of December 2004, in a small rural village in Chechnya, 8-year-old Havaa hides in the woods when her father is abducted by Russian forces. Fearing for her life, she flees with their neighbour Akhmed to the bombed-out hospital, where Sonya, the one remaining doctor, treats a steady stream of wounded rebels and refugees. Over the course of 5 dramatic days, Akhmed and Sonya reach back into their pasts to unravel the intricate mystery of coincidence, betrayal and forgiveness that unexpectedly binds them and decides their fate. With "The English Patient"'s dramatic sweep and "The Tiger's Wife"'s expert sense of place, Marra gives us a searing debut about the transcendent power of love in wartime, and how it can cause us to become greater than we ever thought possible. ANTHONY MARRA is currently a Wallace Stegner Fellow at Stanford University, with an MFA from the University of Iowa Writers' Workshop. He's won a Pushcart Prize, the Whiting Writers' Award, the Prairie Lights Fiction Prize and first place in the" Atlantic"'s emerging writers' contest and in "Narrative"'s short story contest.